Probably my favorite thing to do is sit here and people watch. 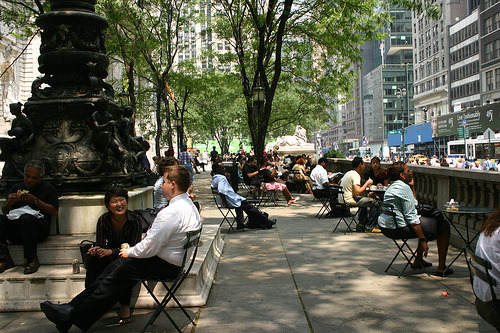 Not many people know that the front terrace of the New York Public Library is actually part of Bryant Park. We maintain the area and keep it stocked with our signature tables and chairs just as we do in the rest of the park behind the library. And it’s true, the people watching here is just as entertaining as it is out back.